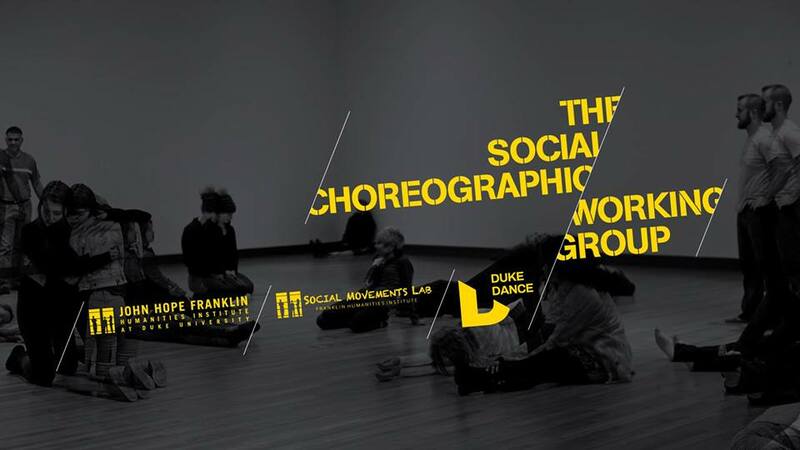 We are pleased to invite you to join the first Social Choreographic Working Group, which will be housed by the Franklin Humanities Institute and form part of the Social Movement Lab. What if artistic sensitivities… currently in deep conflict with the world we have collectively constructed… available to all but latent in most, could act in a direct, unmediated way upon the world – without passing through the medium of the canvas, the carving stone, the text or performer? Social Choreography is an emerging transdisciplinary field that brings embodied, i.e. “relational” knowledge to bear on the creation of new social situations and structures; exploring the potential of choreographic thought for non-artistic endeavours (such as social innovation, activism, political engagement, ethics, education, participation, etc.). Its understanding is founded upon what anthropologist Gregory Bateson termed a ‘cybernetic epistemological’ worldview: an entangled reality of interacting embodied minds of which the observer is inextricably and explicitly a part. In research and action Social Choreography seeks to overhaul fundamental assumptions about self, society and environment, exploring the experience of embodied selves, social organisms, and the forces shaping those experiences. As a cultural practice, Social Choreography deploys experimentalist methodologies to equip the imagination for the project of social reconstruction. We will meet on a weekly basis (at Smith Warehouse and the Ark) to explore, experiment, experience and expand emerging ideas around the budding field of Social Choreography through dialogue, research, learning, movement. Much of its future activities will be determined by those who form the group and their interactions. The Social Choreographic Working Group is open to faculty, graduate and undergraduate students from ALL fields as well as to local thinkers and engaged activist practitioners. Together this collective thought-body will progressively, creatively and contingently define and revise the question of what Social Choreography is or might become, on what surfaces it emerges, and how it might be practiced, embodied and applied. When: Thursdays, 7-9pm, starting Thursday, February 14th, for 10 weeks.